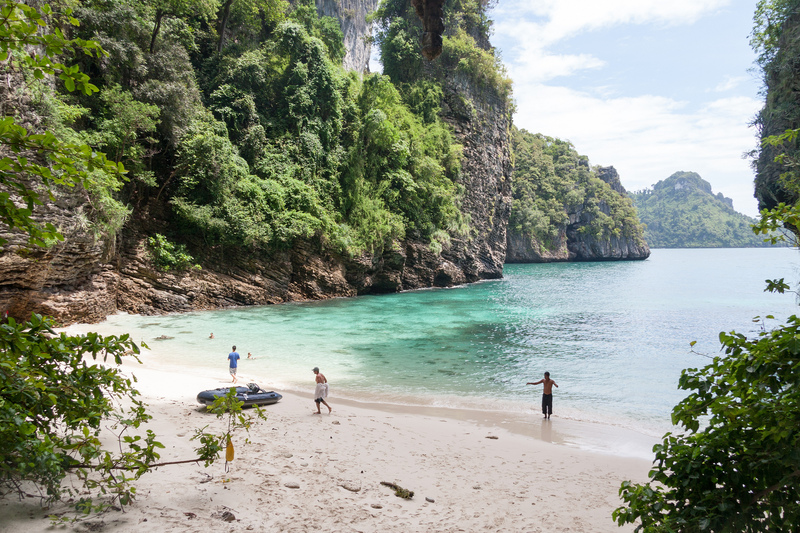 Nestled between Krabi town and Ao Nang , this insanely picturesque beach is framed on three sides by vertiginous, limestone karst cliffs, and only accessible by boat. 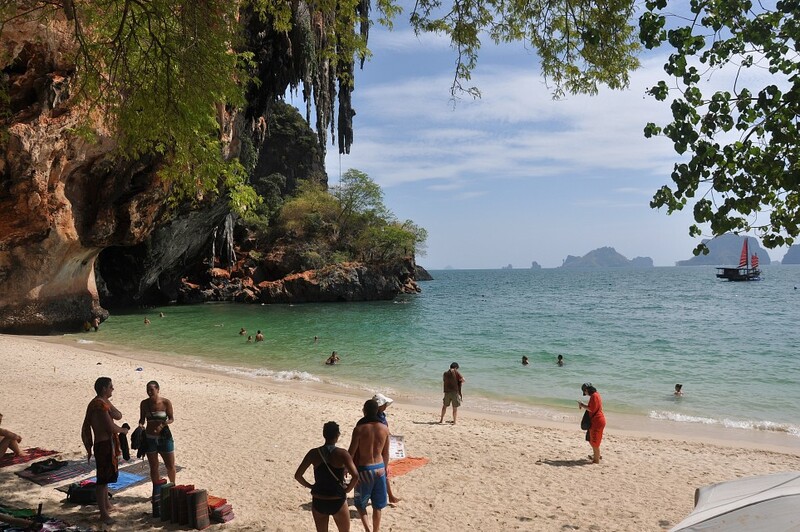 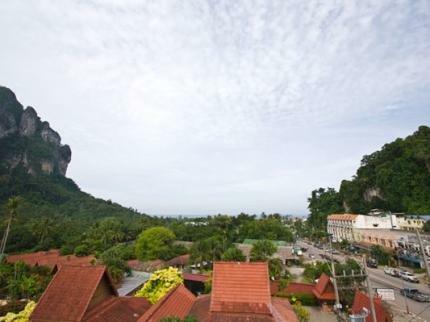 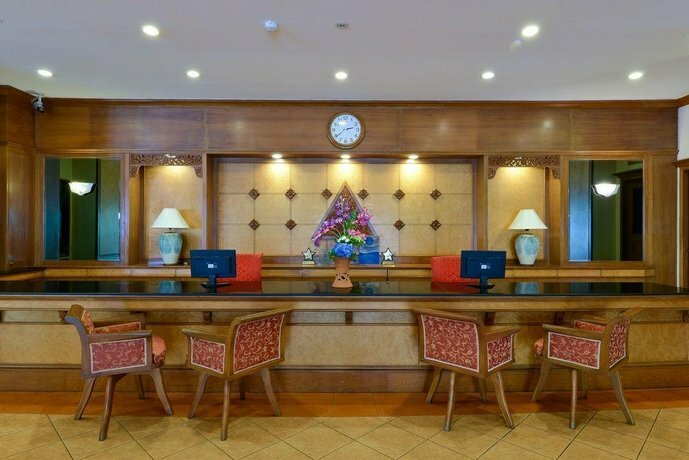 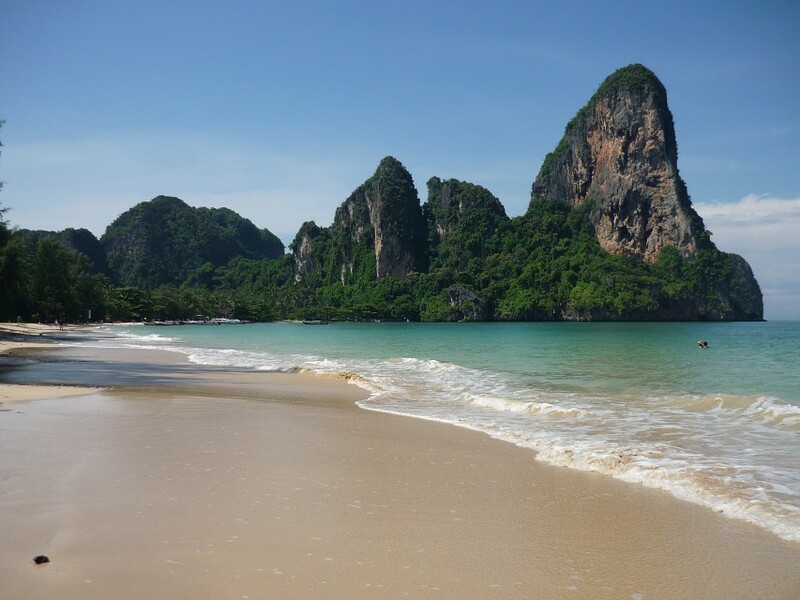 A day trip here from Krabi makes for a particularly enjoyable day out of sun, sea, and surf. 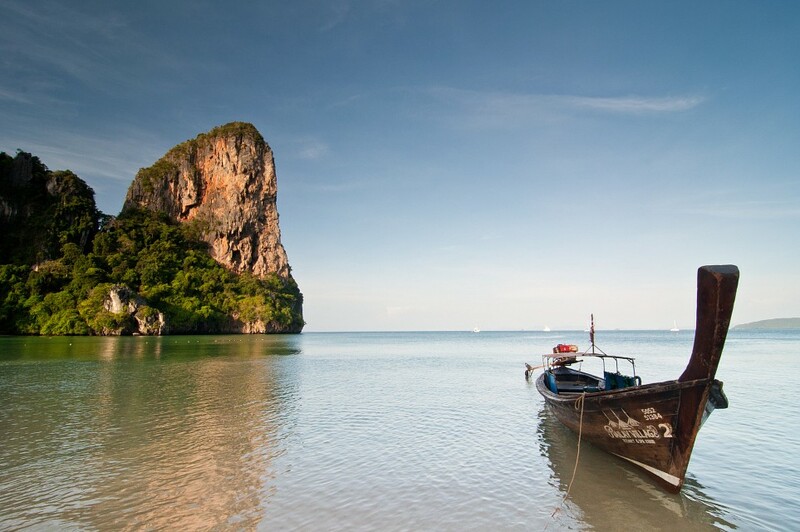 You can hop on a longboat from Ao Nang for a quick 10-minute ride, or rent a kayak for a much more adventurous journey. 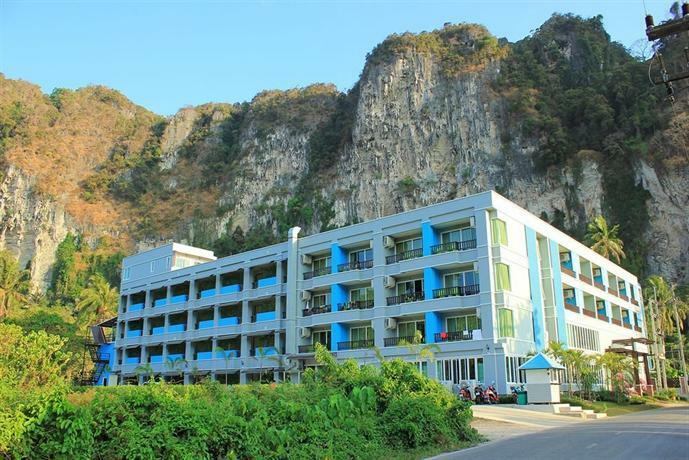 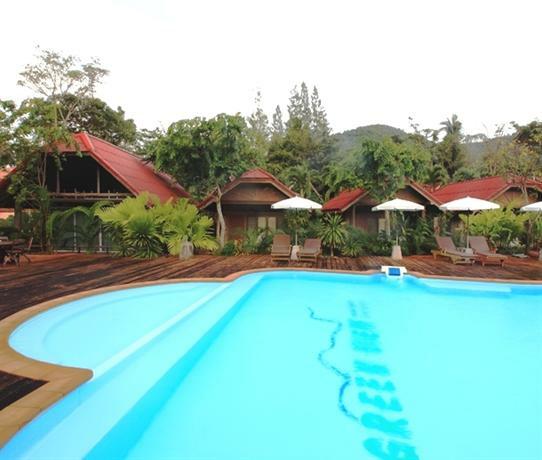 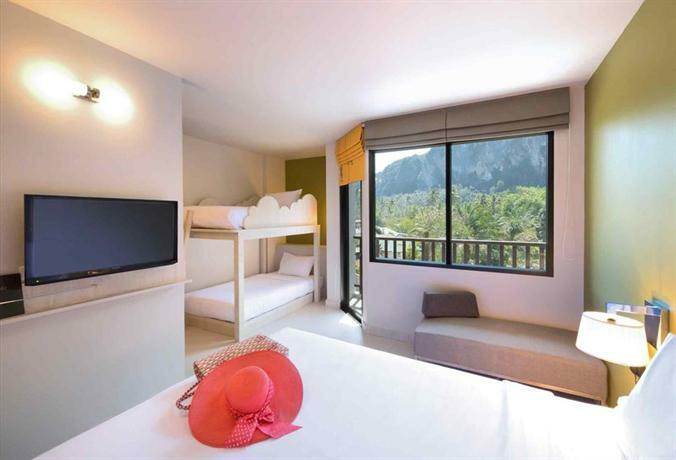 Affordable rental homes are found here and make for an idyllic and romantic getaway from the crowds for a few days. 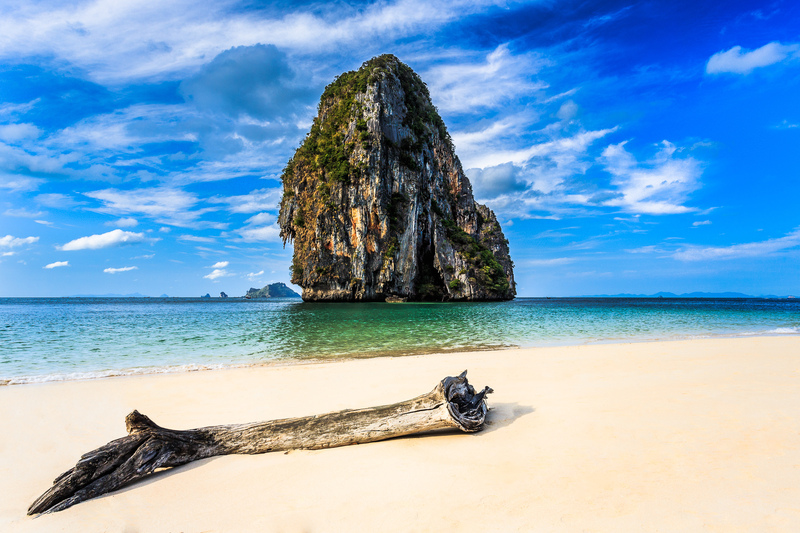 There are a total of four beaches here to explore, all dotted with rustic guesthouses, homestays and even a couple of upmarket resorts. 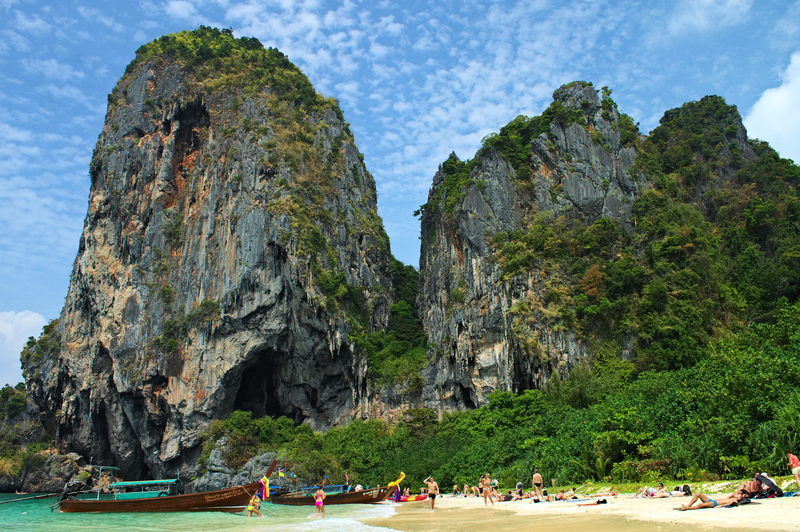 You’ll find plenty of eateries and drinking spots along the coastline and a number of caves which you can explore.